This outstanding workshop and teleseminar begins tomorrow with thyroid patient advocate and bestselling author, Mary Shomon. Sign up today! Thyroid patient advocate and [Read] | no responses. Share The Hormone Cure with Your Friends, Get Some Goodies for Yourself: It’s the Hormone Cure Rock-Out Bundle Party! Guest post from one of our favorite advocates, Dr. Sara Gottfried. 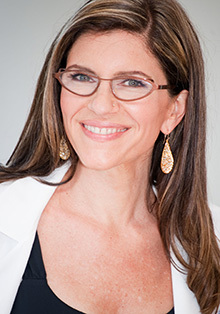 She's an OB/GYN and hormone specialist with a thriving practice in the Bay Area. Her Best Selling Book has helped [Read] | no responses. Oh, Body of Mine, WHAT WERE YOU THINKING?! My dear body, You betrayed me. I did everything I knew to take care of you – daily yoga, green smoothies, good essential fats, acupuncture, you-name-it. It didn’t matter. You [Read] | 2 responses. Dear Thyroid, Thanks to you, I am Annoyed! Hi thyroid yes it’s me. The unhappy one who thought that cold and swollen legs and feet were the only symptoms I would have to deal with. Yes that is what I thought until I was put on [Read] | 6 responses. Dear Thyroid and your partner Graves Disease We first met 14 years ago, when I was a young lad at age 8. I did not know we shared the same body until age 9. Back then, I still had no [Read] | 4 responses. Here at Dear Thyroid™, patients with thyroid autoimmune diseases and cancers write love and hate letters to their thyroids. Families and friends write equally heartfelt, funny and [Read] | no responses. Dear Thyroid, I am writing to apply for the position of ‘Healthy Individual’ as seen advertised in Life. I am available to begin this role at the earliest opportunity. What [Read] | 2 responses. Dear Thyroid, This is my second time starting this message; you know, I've told this story millions of times, but generally I focus on all the things I thought you stole from me, but [Read] | no responses. Dear Thyroid, Yesterday I was sad. I sunk into depression and saw darkness. Yesterday I gained weight. I had no energy to put effort into exercising and eating [Read] | 4 responses.